Dame: Akizuri Titi Bakira "Bella"
(Sire: INTCH SLCH JCZCH DKCH BUNDESJUGENDSIEGER 2011 Multiwinner Kennebec's Final Answer "TITI"
Dame: DKCH KLBCH DEVDHCH INTCH RALLY-B Mgongo Surú Basobi "SOBI"
Sire: N CH Kangelani's Pride And Joy "Phillip"
(Sire: C.I.B FR PL NL CH AMSTERDAM JW-13 Villagedogs Ka Makana "MAK"
When I started to look for a male with Bella I found it to be VERY hard! I knew what type I was looking for but the rest should match too, health and mentality. I don't even know how many males I checked out but it didn't feel right until I saw Phillip! 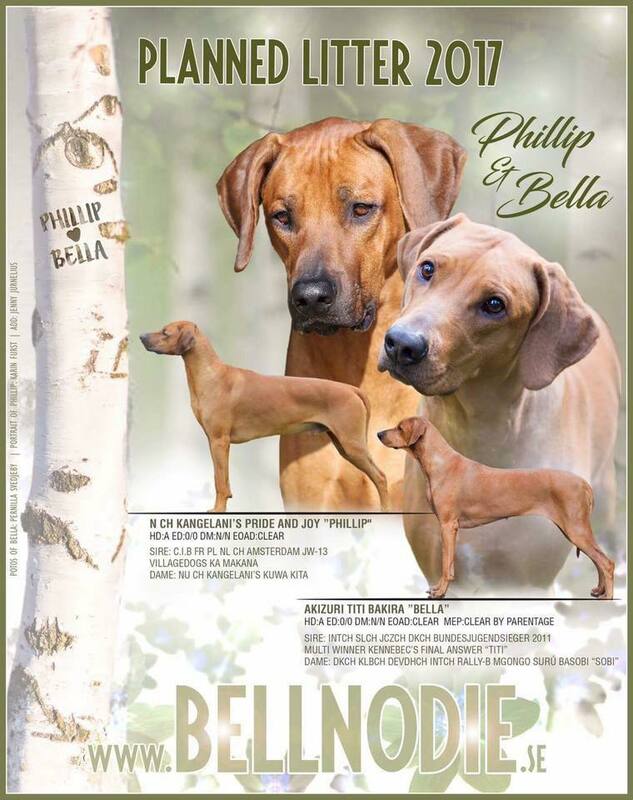 I spent hours to find information and statistics about the dogs behind both Bella and Phillip. So I took contact with Marit (Kennel Kangelani) and we talked over the phone for a long time and I had the chance to ask her everything I wanted. Thank you Marit for your honesty! I have met Phillip three times and I love his temper and his spirit, what a cutie! He is calm but you can also goof around with him. He doesn't care about other males, he is very present. I like that! And I think he is stunning aswell! He is used to kids, other dogs, cats and a active life and that's very important for me, the dog have to work in our every day life every day, 365 days a year. 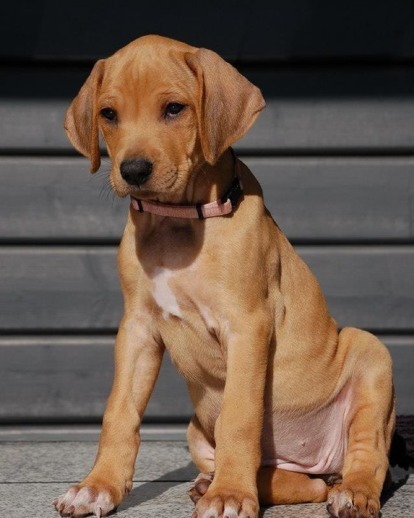 I have also seen his brother and sister from the same litter and they seem very cool, outgoing and fun dogs! Bella is a dog who is a quick learner! She likes to work and are quite easy to train. She is a happy dog. She loves to be around her family and she is always close to you. She is very funny to be with and makes us laugh every day! She is a comedian sometimes.. When Bella came to us she was the "little sister" and she could do anything and get away with it for Nova and Diezel. And acctually it's still like that! We are very blessed to have her in our life! With this combination I hope for loving, outgoing, healthy dogs with a nice mentality and of course with nice construction aswell. 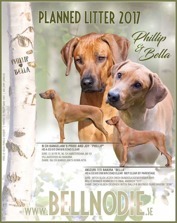 There are so many intresting dogs in both Bellas and Phillips pedigree that I really like, so this are going to be very exciting! I'm going to call the litter: "A Pride Of My Heart" wich I think suits the litter just perfect!